There are some particularly small wineries in the Napa Valley, but then there is another level of “micro”. These are “garagiste” wineries and can legally produce small quantities of wine commercially. Take Pine and Brown for instance. Owner Tom Rees started this small winery in 2011 in a residential neighborhood within the city limits of Napa. 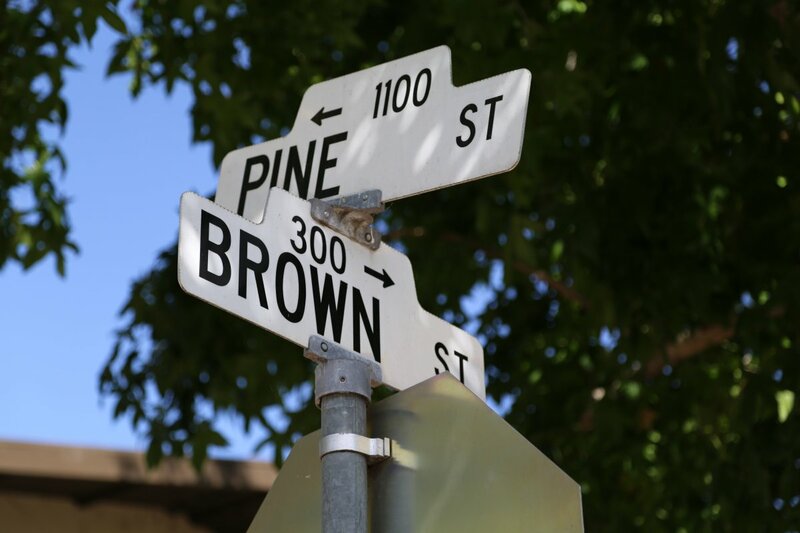 The city of Napa allows up to 200 square feet to be bonded as a commercial winery. Tom is originally from Nebraska and was introduced to wine during college at Purdue University where he studied Chemistry. While in college he worked at the oldest wine shop in Indianapolis, Kahn’s Fine Wines. Then he worked in restaurants at his family business but wanting to take the next step in his wine education, secured three interviews at wineries in Napa and then loaded up his van, drove across country and arrived in Napa in time for harvest in 2002. His immediate family moved out shortly thereafter. He worked in the lab at Charles Krug where where he was introduced to both smaller lot winemaking as well as their larger production CK Mondavi wines. Gaining valuable hands on experience he moved to St. Supéry where after a few years, ultimately became assistant winemaker. He moved on to Rombauer where he was Associate Winemaker for their red winemaking program. In 2011 he decided to branch out on his own and creatively turned an old garage on his property into a bonded winery. 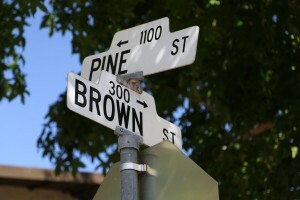 The name Pine & Brown is an honor to the street location where the winery is located. The winery is in South Napa close to the cooling influences of the Napa River and the San Pablo Bay. Most of the summer he simply uses an automatic timer to let in cool night time air and based on excellent insulation, the winery remains cool throughout even warm days. Tom works with mostly organically farmed small vineyards that are carefully maintained – often located on hillsides. 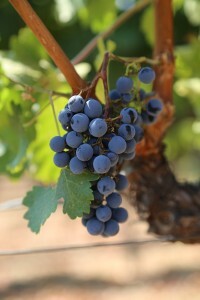 The timing of harvest is a critical decision of his winemaking program; he typically harvests vineyards earlier than similar varieties in surrounding vineyards are picked (he picks the grapes himself with the help of friends). He was introduced to Bordeaux wines in the 1980’s and his winemaking program tends to emulate their style. He picks the grapes earlier, less ripe and produces wines that are built to age – with natural acidity, a depth of flavor and excellent structure. He believes in a minimalist approach to winemaking – gently handling the fruit during harvest and in the winery – and is a philosophy that doesn’t typically involve additions – of acid, water or other. He uses a variety of coopers – nearly all new French Oak. During recent barrel samples of 2012 and 2013 vintages we found these young wines to be rich in flavor and complex with a depth of both aroma and flavor. These are wines that have character and pleasingly, do not all taste the same. His vineyard sources tend to change depending on availability but one vineyard that forms the flagship wine of his program each year is the Garvey Home Ranch Cabernet Sauvignon. This vineyard is located in Rutherford on bench land at the base of the Mayacamas Mountains. The 2012 vintage (barrel sample several months before bottling) is slightly blended with Petit Verdot. For such a young wine – it is already becoming well integrated with flavor and structure. Tom has noted that the 2012 vintage as compared to the 2013 vintage seems to have come around quicker. Mouth watering acidity, notes of mocha on the bouquet, and fairly broad based moderate tannins show on the finish. Tom is very knowledgeable about a number of yeasts; as with most things, technology keeps improving including a wide diversity of various yeast strains. Tom uses specific yeasts as needed separating out his fermenting bins by different types of yeasts and then blending the wines from the various small lots together later before bottling. With small lots he has the freedom to treat each lot differently. Some lots will see extended maceration, others will not. Just like spices used by a chef, essentially he has a spice rack of various wine making options at his disposal. Rather than working with huge tanks and large blends, everything is done on the micro level. In such a small space you have to be very creative with equipment and how it is organized. He keeps two vintages inside the winery at any one time – bottling one right before harvest to free up space. His bottling is done off site. Today his focus is on his Pine & Brown wines, but also offers wine consulting for several small negociant labels and works for an Italian wine supplier. This is very much a small family production. Tom handles all the winemaking duties and his wife helps with the sales and marketing. With a yearly production of only about 200 cases, this isn’t much wine. The wines are selectively distributed mostly in the Los Angeles and San Francisco markets with some distribution locally at Calmart in Calistoga and in several restaurants including Mustards Grill. Thank you very much for visiting Pine & Brown and covering the garagistas! It was a pleasure meeting with you and I wish you all the best with the Napa Wine Project. 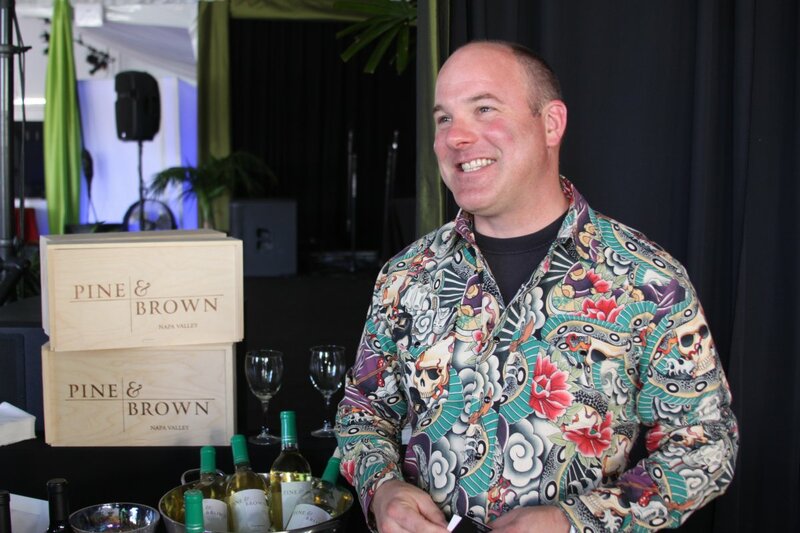 Tom – and thank you for the tasting and background on Pine & Brown. If there is anything else I can do to help promote your wine, let me know. I hope to be in Napa sometime this winter and hope to obtain some of your latest bottling. Can’t imagine going to sea without at least a taste of something so special from the land.